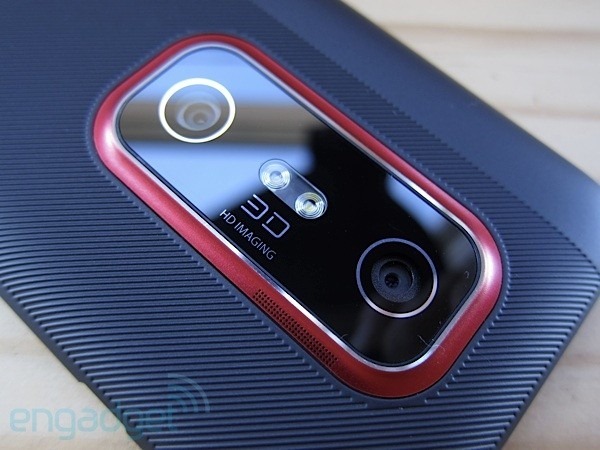 Then again, you can't summarize the successor to one of the most successful Android phones ever in just two sentences; for the full scoop, let's take a quick look at five of the best EVO 3D reviews on the net. It's a bit of a stretch to call the EVO 3D a breakthrough, especially since there's not a lot of premium 3D content yet. The ecosystem will need to catch up to the hardware, just as in the TV world. However, the 3D camera is a fun conversation starter on this handset, and Sprint has improved upon its flagship phone in practically every other way. You get faster dual-core performance, a sharper screen, and impressive 4G speeds--all wrapped up in a sleeker, easier-to-grip design. 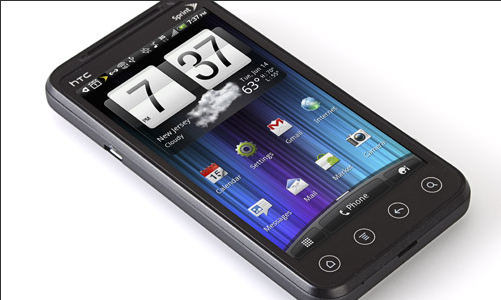 Google purists will gravitate towards the Nexus S 4G, and some may want to wait to see how the upcoming dual-core powered Motorola Photon 4G stacks up to this device. But right now the EVO 3D has the best combination of hardware and software for Sprint customers. This is my next's Ross Miller was also a fan of the EVO 3D. He especially liked its solid build quality and snappy performance, though almost all of his gripes were related to the poor 3D imaging (in fact, he listed the fact that 3D is an optional feature as a "pro"). Specifically, he disliked the small viewing angles of 3D content - if you look at the screen from the side while it's in 3D mode, the on-screen image will become "a painful blur." The conclusion? So let’s ignore 3D for a second. 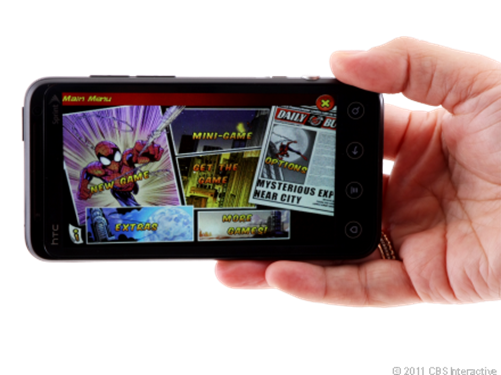 The EVO 3D is fast, sleek, up to date, and packs a pretty great qHD display. The 2D camera is pretty good (if not a little grainy) and shoots video in 1080p (update: our version only seems to shoot up to 720p in 2D mode; we’re investigating and will get back to you!). 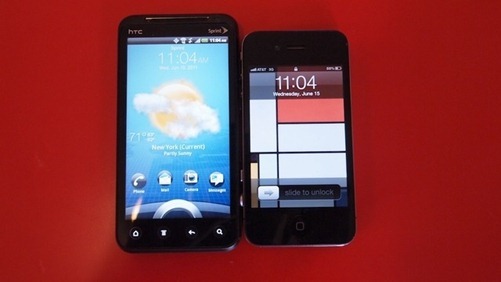 HTC has made a worthy successor to the EVO 4G. CNET's Bonnie Cha also enjoyed the EVO 3D, citing its zippy performance and Gingerbread-based OS as the biggest improvements over last year's EVO. She thought the 3D features (recording, picture-taking, and viewing) were a "fun addition," though like Ross, she noticed that the viewing angles weren't ideal, and the depth of field was also rather disappointing. Interestingly, she didn't see the battery life as cause for concern, unlike a few of the other reviewers on this list (*ahem* Engadget *ahem*). 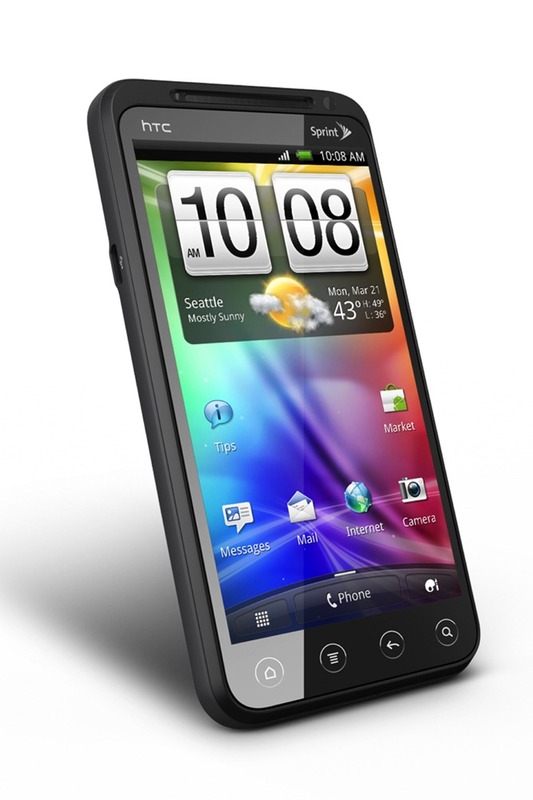 The 3D features are a fun addition, but it's the HTC Evo 3D's zippy performance and improved battery life that make this Android smartphone one of Sprint's best. The EVO 3D is a well made handset that improves upon the EVO 4G in terms of raw horsepower -- as such, it lives up to its flagship status. That being said, it's also a step back in some areas (the lack of kickstand comes to mind). While the qHD screen provides a welcome boost in pixel density, the overall display performance still lags behind the competition. Sense 3.0 leaves us cold, and now that other carriers are rolling out HSPA+ and LTE networks, WiMAX no longer feels like the new kid on the block. Despite the EVO 3D's 1.2GHz dual-core processor, the camera strangely lacks 1080p support, and the EVO 4G arguably captures nicer stills thanks to better optics and firmware. But our biggest gripe with the EVO 3D is its terrible battery life, which is even worse than what we observed on the already lackluster EVO 4G. As for 3D, we're not convinced it's fully baked yet -- right now it feels like a gimmick, but we're willing to wait and see how it develops beyond the initial "gee wiz" phase. Ultimately, we've come to think of the EVO 3D as a Sensation with a lesser camera, cheaper materials, worse battery life, and without the ability to roam worldwide. 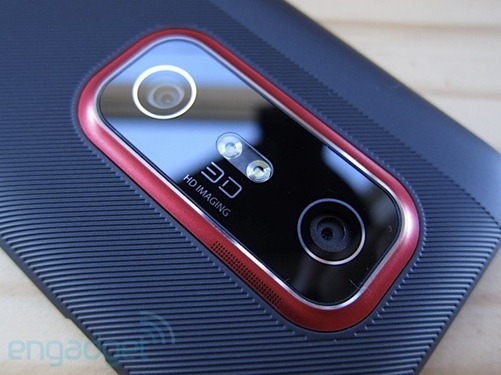 But hey, it's got 3D and the best dedicated two-stage camera button that's ever graced a phone. That's gotta be worth something, right? You certainly couldn't fault Gizmodo for not being frank enough - you know exactly what to expect from Sam Biddle's review from the moment you read the title ("HTC Evo 3D: Oh My God Make It Stop Hurting"). While the article certainly takes note of what the EVO 3D does well (as stated in previous reviews, general performance is very good), it is primarily concerned with its shortcomings - of which there are, apparently, quite a few. For instance, Sam's eyes were "bludgeoned" by the underwhelming 3D effects, and he found it extremely difficult to take a good-looking 3D picture. As you might have guessed, his buying advice is far from positive. I love having a phone with a nice camera built-in because I can whip it out and digitally-remember. I don't want to have to spend minutes making sure the EVO 3D's dual lenses are creating an appreciable 3D effect. And I sure as hell don't want to then have my retinas bludgeoned by its horrid screen afterwards. 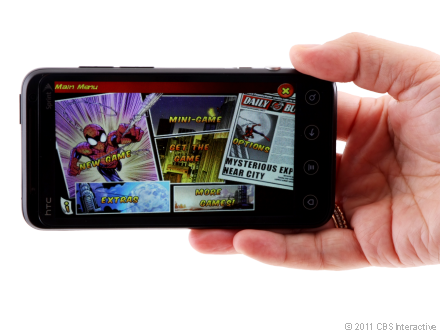 (The 3D mode can be switched off via a hardware toggle, and HTC's Gingerbread interface skin doesn't have any 3D crap itself though.) It's a shame. The Evo 4G was fun for people who wanted a bazooka in their pockets. The 3D's only suitable for shooting yourself in the face. Not since the advent of the Galaxy Tab have tech reviewers' opinions on an Android product been so varied. On the one hand, there's LaptopMag and CNET giving the EVO 3D awards and praising its excellent battery life. On the other, we have Gizmodo and Engadget lamenting the underwhelming battery and complaining about the headache-inducing 3D screen. Perhaps it really is a matter of opinion - a matter of what you value most in your handset, whether you get a properly made unit or a lemon... and how much you detest (or adore) 3D.